Electrical test on high voltage insulators and their materials is also an big part of all tests on HV insulators of overhead lines. As its name, insulators built to work as an insulation item amoung conductive cables,fittings and poles. Here our testing machines provides significant electrical tests like combined mechanical and electrical test on ceramic insulators (known as M&E test), tracking erosion test of silicon rubber material of polymeric insulators and etc. Combined electromechanical strength test is an significant test for electrical ceraimic disc insulator of overhead lines. 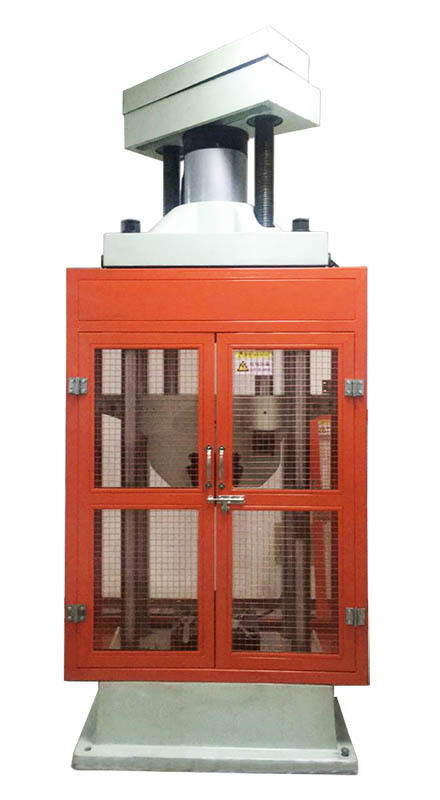 This testing machine is essential for manufacturer of porcelain insulator to inspect and control quality.